"Missionary graveyard in Canton, the upper part for Chinese, the lower for Europeans." [English: Missionary graveyard in Canton, the upper part for Chinese, the lower for Europeans.]" "[original caption] Missionsfriedhof in Canton, oben für Chinesen, unten für Europäer." [Original text]: "rechts: erste Frau Dr. Hager." Title: "Missionary graveyard in Canton, the upper part for Chinese, the lower for Europeans." 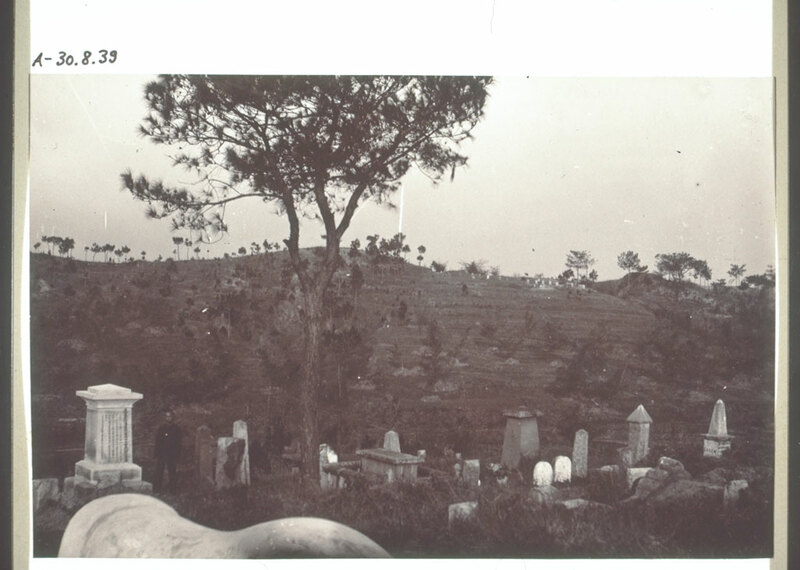 Hager, Charles Robert (Mr) , “Missionary graveyard in Canton, the upper part for Chinese, the lower for Europeans.,” BMArchives, accessed April 19, 2019, http://www.bmarchives.org/items/show/50391.